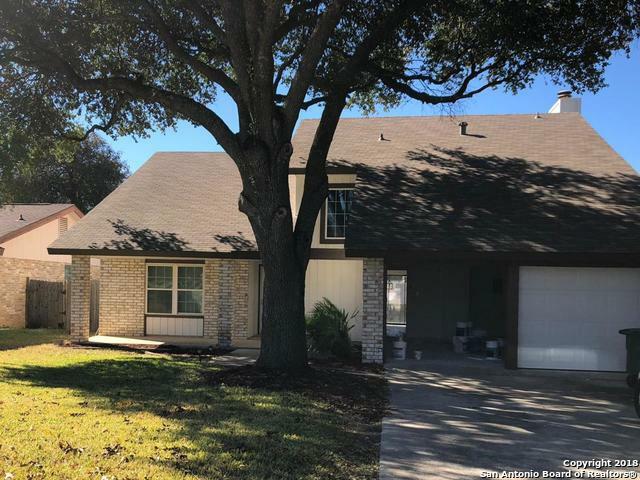 All Great Northwest homes currently listed for sale in San Antonio as of 04/24/2019 are shown below. You can change the search criteria at any time by pressing the 'Change Search' button below. "Gorgeous home located in the heart of Leon Valley, This home has been completely remodeled 3 bedroom 2 and a half bathroom home features granite countertops, custom new kitchen with ample natural lighting, oversize master suite with a walk-in closet. Just a few minutes to Sea World.The neighborhood has a pool, tennis courts, volleyball courts, and park/playground." "Well-maintained home, big cul-de-sac lot, mature trees. Raised ceiling in Den, lots of natural light, wetbar. Island kitchen with plenty of cabinets, built in microwave, plantation shutters. Ceramic tile down, laminate staircase and upstairs flooring. Master has double sinks, his/her closets, private patio. Hallway extra closet, walk-ins in bedrooms. Covered, tiled porch plus extended decked patio for entertaining. Recent exterior paint, roof. Water softener. Garage A/C. His/her outdoor sheds. W"
"3/2 home in Northwest area close to Shopping, Restaurants, & Sea World! Walking distance to elementary and middle schools. Newer roof, stained concrete floors, open living/dinning area, and great size backyard w/ large covered patio!" "3 bedroom 2 bath home in the Great Northwest with large backyard. Home is within walking distance to elementary school, middle school, community pool and playground. Home is within minutes from Alamo Ranch shopping and entertainment. Easy access to 1604, 151 and 410. Pre-wired for Google Fiber. Great fixer upper! Come see this home today!"